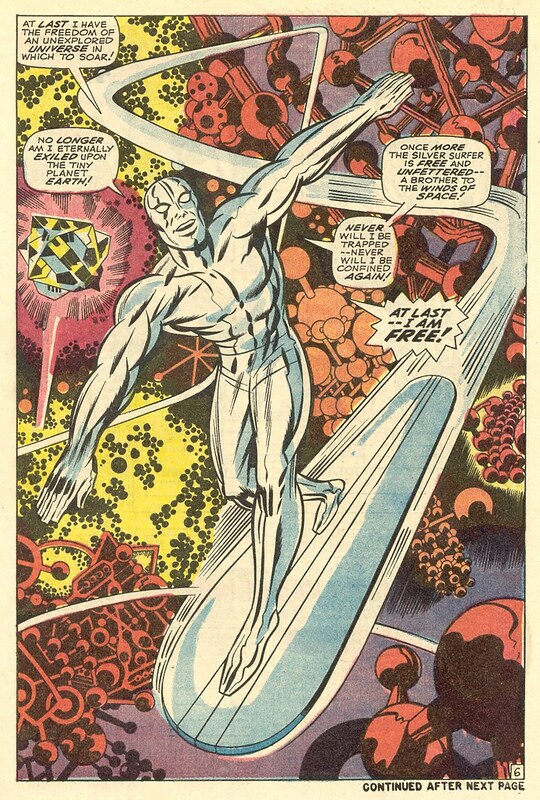 FF #76, page 6, featuring the Silver Surfer soaring in a moment of freedom. There was a black light poster made out of this page. I did a quick search and found that it will see on eBay for over $100 now. 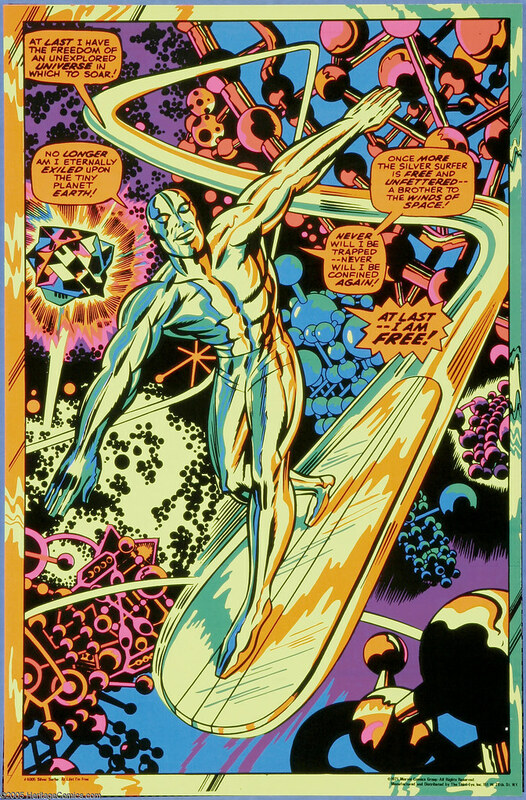 Marvel fans of this era will remember the black light posters created around 1970 for stoners to enjoy while they listened to rock music. There were three Dr. Strange black light posters which I wrote about last year. I think I may have had one of these (although not the Surfer) next to a lava lamp. Nuff Said! I passed up several of these at the local swap meet when I was about 10. I think the dealer was asking a buck a piece, which was a little rich for my blood back in the day. Sure wish I had them now :-) Cosmic Kirby is awesome. Psychedelic cosmic Kirby is even more so! I read a blog post where this fellow got a bunch of Marvel black light posters for $150. I just saw an eBay listing for the SS poster that was around that price.